University of Lynchburg is partnering with Solution Tree to offer college credit for 15 courses beginning in January 2017. The one credit hour courses are assessed on a Satisfactory/Unsatisfactory basis. These courses provide graduate credit to meet the professional development needs of teachers, administrators, and school district personnel throughout the United States and internationally via an online format provided by Solution Tree. These 500-level courses provide an opportunity to meet re-certification and professional development needs and are not applicable towards a master’s degree. 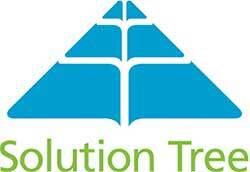 Interested students should contact Solution Tree directly at 800.733.6786 or https://www.solutiontree.com/online-courses.html for course enrollment and payment. Once those steps are completed, information will be provided for admissions and credit at University of Lynchburg. The University of Lynchburg contact for any questions regarding admissions and credit is Dr. Bobbi F. Johnson at johnson_bf@lynchburg.edu or 434.544.8513. EDCI 540 Common Core English Language Arts in a PLC at Work™, Grades K-2 This course provides learners with the background, resources, and protocols required to facilitate mastery of Common Core English Language Arts in a PLC at Work for grades K-2. Exploration of Common Core standard types including reading, writing, plus speaking and listening for language are also included. EDCI 541 Common Core English Language Arts in a PLC at Work™, Grades 3–5 This course provides learners with the background, resources, and protocols required to facilitate mastery of Common Core English Language Arts in a PLC at Work for grades 3-5. Exploration of Common Core standard types including reading, writing, plus speaking and listening for language are also included. EDCI 542 Common Core English Language Arts in a PLC at Work™, Grades 6-8 This course provides learners with the background, resources, and protocols required to facilitate mastery of Common Core English Language Arts in a PLC at Work for grades 6-8. Exploration of Common Core standard types including reading, writing, plus speaking and listening for language are also covered. EDCI 543 Common Core English Language Arts in a PLC at Work™, Grades 9-12 This course provides learners with the background, resources, and protocols required to facilitate mastery of Common Core English Language Arts in a PLC at Work for grades 9-12. Exploration of Common Core standard types including reading, writing, plus speaking and listening for language are also covered. in a PLC at Work This course provides students with the background, rationale, and strategic steps required for planning and implementing common formative assessments in a PLC at Work. Learners will gain a deeper understanding of PLC’s, learn the importance of common formative assessments, and develop techniques for designing effective common formative assessments. Grades K-5 This course provides students with the background, rationale, and strategic steps required for planning and implementing Mathematics in a PLC at Work for grades K-5. Learners will study 10 proven high-leverage teaching actions that can be specifically used for teaching Mathematics within a Professional Learning Community. History, research, resources, and protocols are also included. Grades 6-8 This course provides students with the background, rationale, and strategic steps required for planning and implementing Mathematics in a PLC at Work for grades 6-8. Learners will study 10 proven high-leverage teaching actions that can be specifically used for teaching Mathematics within a Professional Learning Community. History, research, resources, and protocols are also included. High School This course provides students with the background, rationale, and strategic steps required for planning and implementing Mathematics in a PLC at Work in high schools. Learners will study 10 proven high-leverage teaching actions that can be specifically used for teaching Mathematics within a Professional Learning Community. History, research, resources, and protocols are also included. EDCI 548 RTI at Work™: Early Elementary Focus Online Course This course provides students with the background, rationale, and strategic steps required for planning and implementing a high-quality Response to Intervention (RTI) initiative. Students will design strategies for developing Tier 1, Tier 2, and Tier 3 intervention systems and the professional learning culture and community needed for implementation in early elementary grades. EDCI 549 RTI at Work™: Late Elementary Focus Online Course This course provides students with the background, rationale, and strategic steps required for planning and implementing a high-quality Response to Intervention (RTI) initiative. Students will design strategies for developing Tier 1, Tier 2, and Tier 3 intervention systems and the professional learning culture and community needed for implementation in upper elementary grades. EDCI 550 RTI at Work™: Middle School Focus Online Course This course provides students with the background, rationale, and strategic steps required for planning and implementing a high-quality Response to Intervention (RTI) initiative. Students will design strategies for developing Tier 1, Tier 2, and Tier 3 intervention systems and the professional learning culture and community needed for implementation in middle school grades. Online Course This course provides students with the background, rationale, and strategic steps required for planning and implementing a high-quality Response to Intervention (RTI) initiative. Students will design strategies for developing Tier 1, Tier 2, and Tier 3 intervention systems and the professional learning culture and community needed for implementation in high school grades. Online Course ETC This course provides students with the background, rationale, and strategic steps required for planning and implementing a high-quality Response to Intervention (RTI) initiative. Students will design strategies for developing Tier 1, Tier 2, and Tier 3 intervention systems and the professional learning culture and community needed for implementation. Full Course This course provides the background, content, and learning context required for effectively implementing Professional Learning Communities in schools. The theoretical foundation and knowledge of the PLC process provide the basis for collaborative teams to successfully address the needs of all learners in grades K-12. How to Overcome Staff Division This course provides the framework for understanding the dynamic relationships within a school culture and ensuring a positive environment that supports the changes necessary to improve learning for all students. The course explores many aspects of human behavior, social conditions, and history to reveal best practices for building healthy school cultures.